Whilst looking for butterflies in Bentley Wood I came across quite a few Viviparous Lizards Zootaca vivipara basking on some old grey tree stumps, clearly enjoying the sun. I must have seen over a dozen of them, plus many more scampering through the shorter dryer grass in the clearing. I find colour variation interesting and this is one species where both colour and pattern is quite variable. The females at this site, see above, were a fairly uniform medium tan brown with a slightly darker brown mottling and a pale cream stripe, but the males were a much darker brown mottled with black with creamy yellow stripes and spots, see photo below. I didn’t get to see their undersides but I understand that generally whilst the females have whitish underparts the males can have quite spectacular yellow, orange or even red bellies with dark spots. As I’ve said colouration is very variable, at Morgans Hill I’ve seen green and olive specimens, but they can also be grey and you can come across almost black melanistic forms. 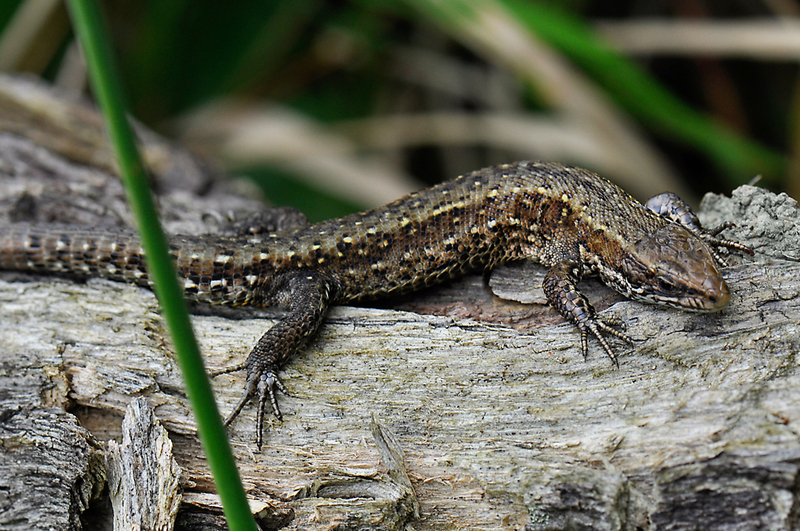 This species used to be called the Common Lizard Lacerta vivipara. 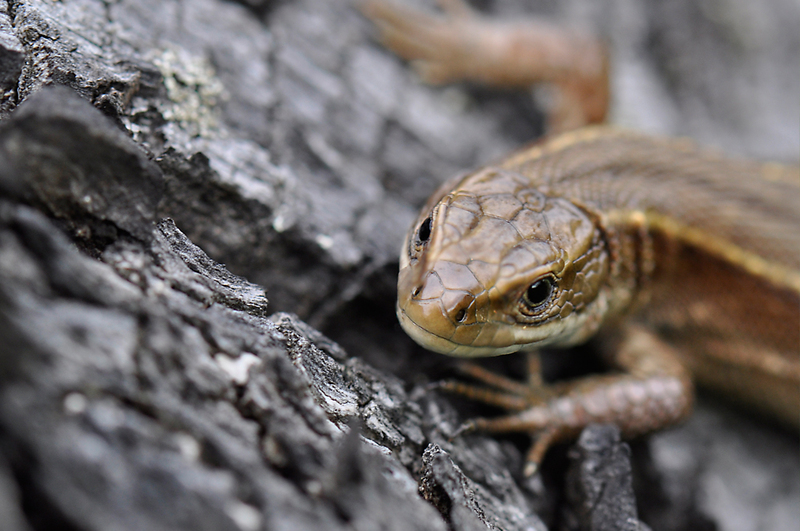 I’m not not sure why it was reclassified but the term viviparous means the ability to give birth to live young rather than laying eggs as most other lizards do. Although the females are generally fatter than males anyway, most I saw appeared to be heavily pregnant and looked fit to burst.